We know you probably don’t even need to keep reading after that sentence, you’re already convinced of whatever we’re going to tell you; but, amuse us, a bit. A message from Ben & Jerry’s, the glorious souls bringing us free, delicious ice cream on April 14th. At the beginning there was always the desire to do something different about the way that business is done. While there were other gestures that demonstrated the commitment, none that demonstrated the company’s belief in what we now call “Linked Prosperity” than what happened on May 5, 1979. That day was not only the celebration of our first Free Cone Day but the beginning of truly demonstrating our Social Mission. Over the past 35 years, Free Cone Day has proven itself as our most engaging day each year – both with the media and, more importantly, our fans. 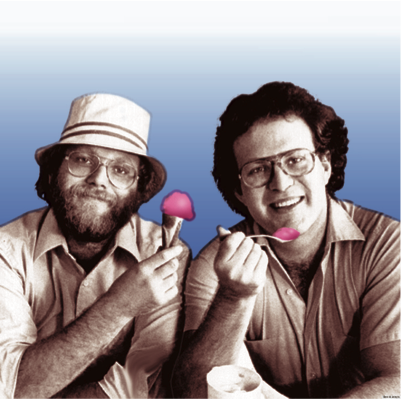 While the concept of a “Free Day” was novel at its inception, much like everything Ben & Jerry’s has done over the past 35 years, it is now a stable of our brand in North America and Around the world. We continue this tradition and strive to make the initiative bigger in Canada to share this event with more and more fans across the country. Second: Share and showcase Ben & Jerry’s values and celebrate those values with our fans. These values include our Fairtrade certification and Climate Change Activism goals for 2015. In 2015 Ben & Jerry’s has transferred all of our pints and scoop shops to Fairtrade certified ingredients because it is the responsible thing for our business to do. We hope to lead the market to encourage and inspire other brands to do the same over time. The United Nations Climate Change Conference will be held in Paris, France in late 2015. The goal of this conference is to get sovereign states to universally agree on climate change. Climate change is important to all humans on earth, and is therefore important to Ben & Jerry’s. Ben & Jerry’s is partnering with Avaaz.org to educate fans about the important event and encourage them to advocate through Avaaz. 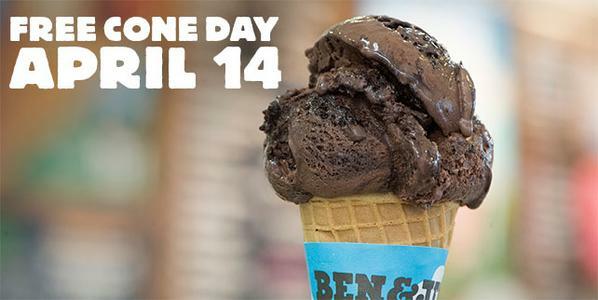 Free Cone Day is Tuesday, April 14th, and Ben & Jerry’s will be on Ryerson campus from 11am to 3pm scooping out delicious pieces of heaven on Gould/Victoria street (while supplies last).